In Windows Vista, Microsoft introduced a new mechanism, providing an additional level of protection against unauthorized modifications called UAC (User Account Control). 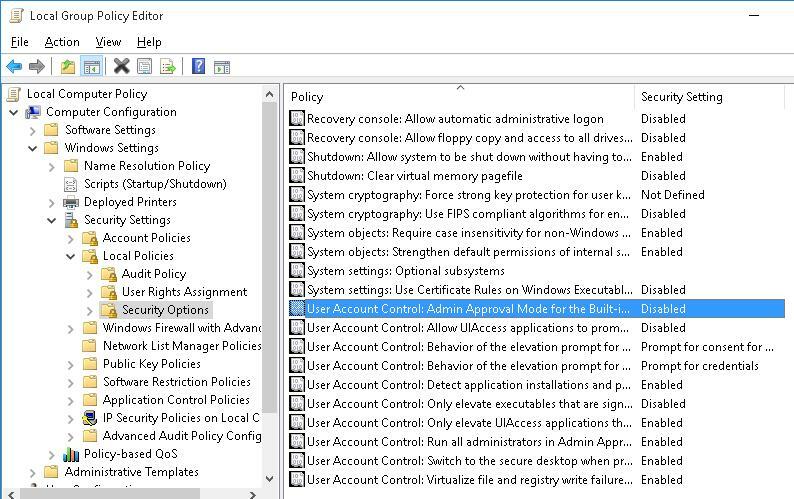 In Windows 7 (or higher), UAC has got a setting slider (called from the Control Panel or UserAccountControlSettings.exe), which allows to select one of four UAC protection levels. By default, UAC protection level 3 is used in Windows. 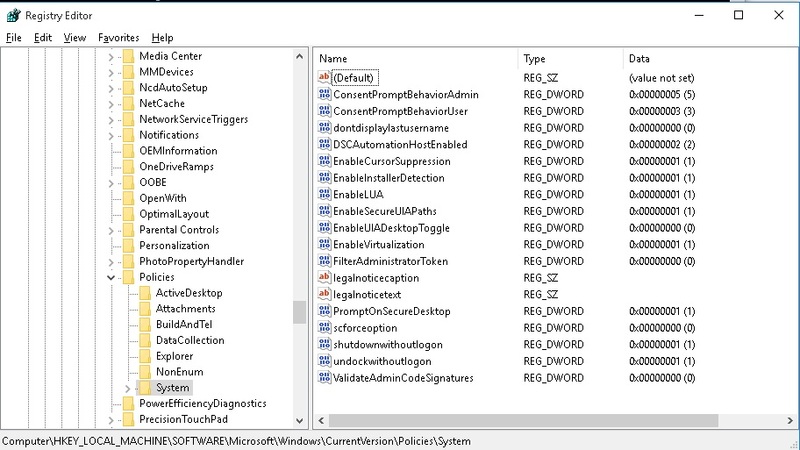 Computer Configuration -> Policies -> Windows Settings -> Security Settings -> Local Policies -> Security Options. The names of the policies related to UAC start with User Account Control. Standard values for the registry keys correspondent to the policies are given in brackets. 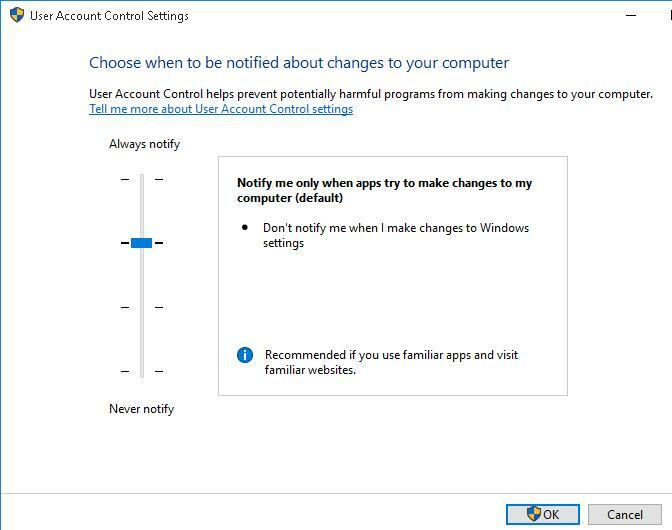 If you want to allow users to further adjust the UAC settings, the default settings on the domain computers can be specified using the GPP to set registry keys applied once (Apply once and do not reapply). Methinks your values for the behavior on “standard users” is not accurate. Per this Microsoft link (https://technet.microsoft.com/en-us/library/dd835564(v=ws.10).aspx) the “default” value (level3) is “Prompt for consent on the secure desktop”. SO WHICH IS IT MICROSOFT?!? Using your level 1 settings does not corresponds to level 1 in Windows 10. If I set these settings I can’t run Microsoft Edge and everythiing is run as administrator. Simple way to check this is to rRight click start and run Powershell always runs it as admin even tho’ I don’t select the (admin) choice. So how I make it behave like Windows 10 UAC level 1?